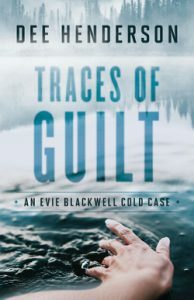 I am a fan of Dee Henderson’s novels, and so I was thrilled for the opportunity to review Trace of Guilt. I enjoyed the story immensely, but it is missing the suspense and clear romances of most of her other books. This is not a bad thing; it is just good if the reader anticipates this. The suspense is more of a speculation as no active crime happens in the story. The romance thread is there, but it is either found in established marriages or it is left hanging, presumably to be continued in one of the sequels. Unlike the majority of Dee’s novels, in Traces of Guilt there is a good deal of “telling” as opposed to “showing”, yet despite that I became absorbed in the story from the beginning and didn’t want to put the book down. I would call it a Christian mystery novel, as the theme revolves around a number of cold cases and who-dun-it and where they hid the bodies. Those who have enjoyed previous books by this author will enjoy meeting up with a number of old friends from previous stories as well as the introduction of a number of new characters. Nevertheless, the book is a stand-alone and it is not necessary to have read previous books by her. The story is complex, and I did at times have to stop to figure out the identity of one of the many characters. Evie Blackwell, the heroine, is an Illinois State Police Detective with a gift for working investigations. She has come to Carin County in Illinois to set up a task force that will concentrate on cold cases. She teams up with Sheriff Gabriel Thane in an attempt to solve a cold case involving a missing six-year old as well as that of a missing family of three. In the process they get involved with two murdered paedophiles, two missing parents, and a woman hiding from a violent killer. I felt there were too many stories in one novel, and so I didn’t get fully into any one of them. I also found the ending disappointing although unexpected. I don’t want to say more for fear of giving it away. Readers who enjoy mystery stories will enjoy Traces of Guilt. I look forward to the next in the series. Traces of Guilt is available for pre-order now and will be released on May 3rd, 2016. I received this book from Bethany Publishers via Net Galley in exchange for an honest review. Other book reviews by Shirley Corder.